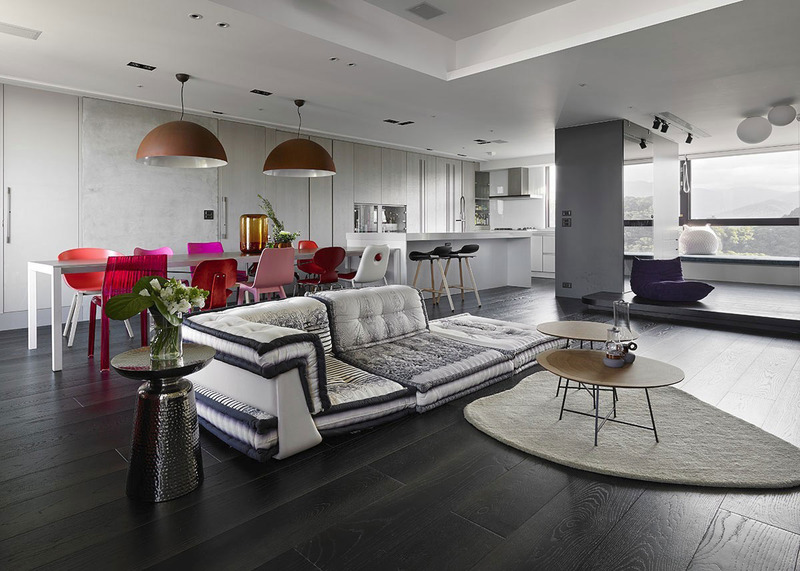 A minimalist duplex apartment in Taipei City, Taiwan was refurbished by Ganna Design using bright colors as subtle highlights to dark, grey and white backgrounds. 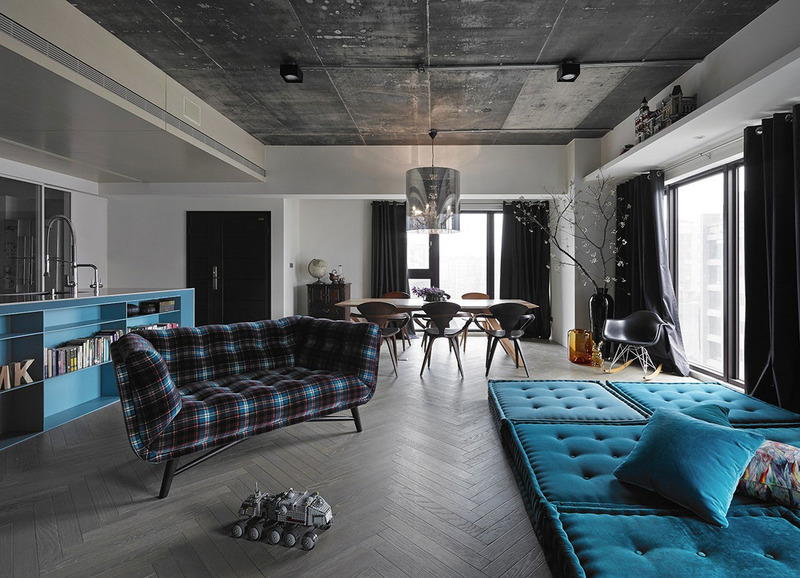 The original concrete ceiling of this apartment in Taipei City, Taiwan was the starting point for Ganna Design to create a chic modern family home. Blue sofa pieces and blue kitchen island provide a stylish contrast to the rest of the space.